One of the premier homes in this park. 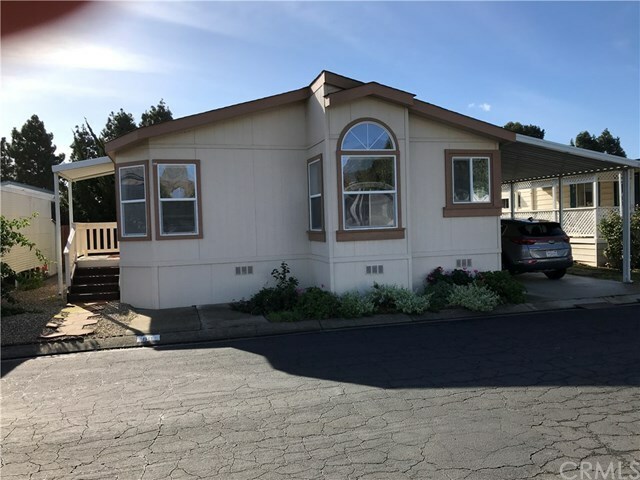 Enjoy quality, comfort and charm in this special Hallmark manufactured home in popular Rancho San Luis Senior Park. This delightful home offers three bedrooms and two baths. Beautiful hardwood floors in most of the home. Enjoy the light, bright feeling with lots of windows and morning sun. The spacious master suite offers a walk-in closet and plenty of room for furniture. View of hills to the East. Nice exterior yard with plants and storage shed. Rancho San Luis Senior Park offers a clubhouse, pool and spa. Conveniently located close to downtown shopping and restaurants. Seller is a licensed real estate broker. Directions: S. Higuera to Prado. East on Prado to Mobile Home Park on left. Proceed past mailboxes and follow street to #89.